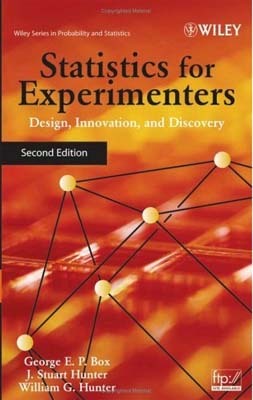 Data for use with Statistics for Experimenters Second Edition. BsMD (Bayesian screening and MD follow-up designs) (used in Chapter 7). Download files that accompany the book Statistics for Experimenters: Design, Innovation, and Discovery, 2nd edition from the publisher. The file includes data files to be used with the book. Download the zip file and extract the contents to a selected directory. The zip file contains a directory with 77 data files in text format extension dat. The data is arranged in columns. File names are *UUvv.dat, where * can be exe, fig, prb or tab, corresponding to exercise, figure, problem or table respectively. UUvv stand for chapter UU, exercise vv, etc.